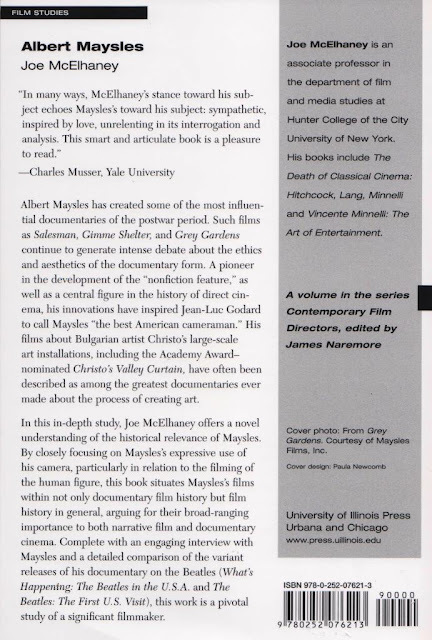 The Maysles Brothers were major players in documentary filmmaking, especially in the 1960s and 1970s. Stylistically, their influence continues to rocket through the present and beyond us into the future. Beyond Albert Maysles (1926-2015) and David Maysles (1931-1987) and "direct cinema," consider who they were lucky enough to work with: not only gifted editors like Detroiter Charlotte Zwerin (who in turn directed Thelonious Monk: Straight, No Chaser, 1988), but also John F. Kennedy, Jackie Bouvier Kennedy, The Beatles, The Rolling Stones, Orson Welles, Marlon Brando and Truman Capote. Two of their most easily recognizable films are Gimme Shelter (1970) and Grey Gardens (1975). The latter, focusing on "Big" and "Little" Edie Bouvier Beale and their crumbling tomb of an estate, has attained cult status. I have a copy of the Criterion Collection's edition of Salesman (1969) in the pipeline, and will likely post on it in the near future. Joe McElhaney's Albert Maysles in the Contemporary Film Directors series provides a useful overview of the Maysles Brothers' work, historical context, and thoughtful consideration of the cultural impact of direct cinema / cinéma vérité. Question: what's your response to documentary film? And, in the print world, how about creative nonfiction vs. fiction? 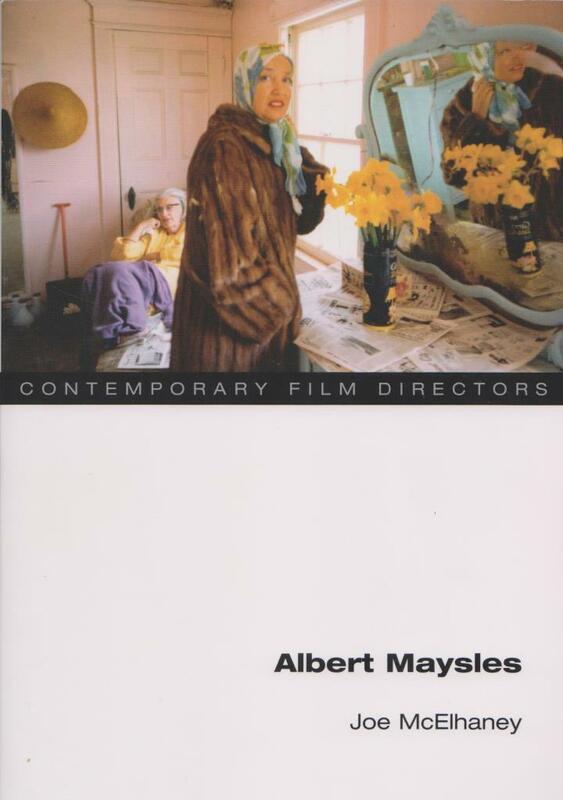 I did not pay much attention and was unaware of the existence of the filmmaker Albert Maysles. Only with his death in the first quarter of the year is that I know that the documentary Gimme Shelter about the Rolling Stones concert in Altamont, was done by him and his brother. I have yet many things to know about it and I will like you to publish more about it.